The first thing I’ll need you to do is, open up a new tab on your browser and Google for “Nigeria’s population in 2010″. Have you done that? Ok, let’s proceed. I’m about to reveal a very thoughtful statistic to you. I’ve had this statistic with me for over 12 months. Most of the people in my business network knows this statistic. Also, whenever I teach people about financial intelligence, I use this statistic as a basis for the teaching. I’m glad that you also will get to know the statistics. Not only that, you will chart a better course to follow. The truth is, we need this kind of prayer daily. It’ll go a long way to make things work. Prayer works wonders. I believe that so much. Anyways, a prayer without work won’t work. In addition to the prayer about, let me present to you a statistic that would help you to work rightly. 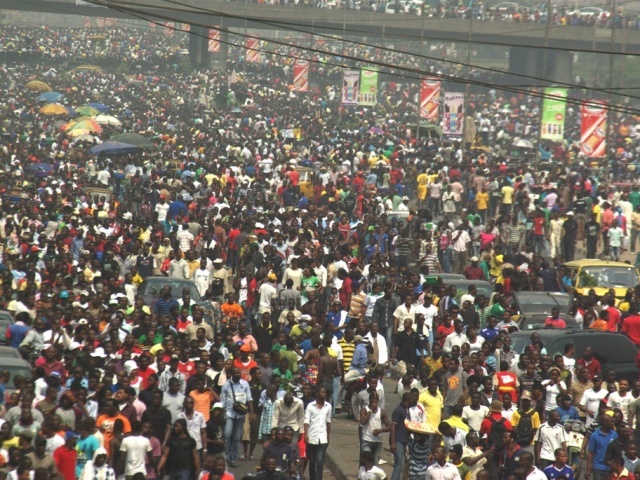 So, what was Nigeria’s population in 2010? Remember I asked you to find that out earlier. If your search is correct, you’ll have seen that over 80% of Nigerians are poor. Imagine, 80%!!! No thanks to the several things we can point our accusing fingers at. I can’t really say what was used to find out the Nigeria’s population in poverty but the truth here is, poverty is VERY real in Nigeria. Also, the odds are well against us. We need to beat poverty fast. – A poor man’s cashflow diagram shows that he has only one active income source which he always spend on budgeted and unbudgeted expenses. In short, a poor man is anyone who’s monthly expenses is greater than monthly active income. This kind of person borrows from his future to meet the needs of his present. This is the state where we have over 80% of Nigerians. I won’t be surprised if 80% of the people reading this are truly poor. Anyway, that’s not the end. I’ll share more with you if God permits. For now, I’ll be glad to read your responses and also profer a solution on the ways through which the statistics of Nigerian’s in poverty can either be increased or reduced.